After suffering from the deteriorating effects of Alzheimer’s disease for years, one woman from Maine is finally getting some relief. 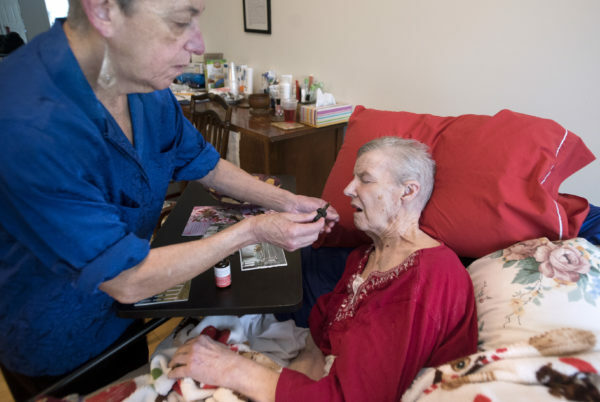 An elderly woman in Maine is helping to pave the way for medical cannabis research, as her partner and caretakers help ease her Alzheimer’s symptoms with daily doses of tincture. Not only has the treatment left her with better results than traditional Alzheimer’s medications, it has enabled her to gain back a sense of relaxation and, sometimes, happiness, something that close friends and family thought was gone forever. Dair Gillespie, 77, lives in her home in Orono, Maine. 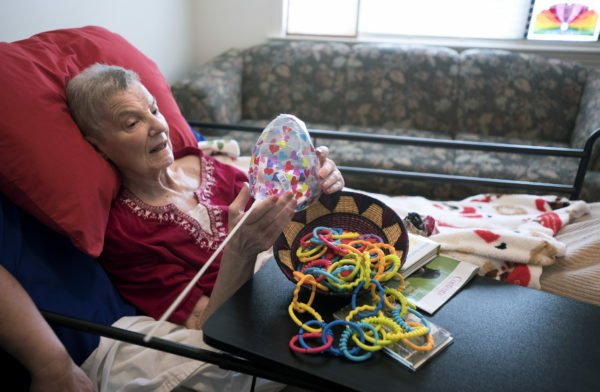 If it weren’t for the help of her wife, Ann Leffler, 70, and a handful of caretakers, Gillespie would likely find herself in a nursing home. 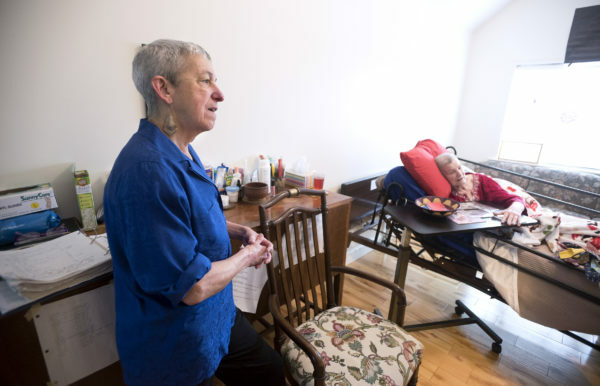 After a stroke in 2013 and a broken hip in 2016, compounded with the deteriorating effects of Alzheimer’s, Gillespie finds herself confined to a medical bed, but in her own bedroom, in her own home. For anyone who has dealt with Alzheimer’s patients, keeping things the same and as normal as possible is a vital part of helping to decrease the rising sense of agitation and fear. Leffler, who has been Gillespie’s partner since 1970 after meeting as graduate students at the University of California at Berkeley, officially married the love of her life in 2015. She was well aware of the time and attention Gillespie would need for the rest of her life and played an integral part in ensuring she received a cannabis regimen. Dair was taking all the usual, very heavy-duty drugs for Alzheimer’s, and she was taking other drugs for the side effects of those drugs. She was starting to have psychotic meltdowns. Things were getting very difficult. After watching her wife suffer through episode after episode, Leffler asked the nursing staff if medical cannabis was an option. Maine has allowed legal medical cannabis since 1999, but only for a handful of qualifying conditions. They did their research to find Alzheimer’s disease was among the allowed ailments. They quickly put together a plan and began dispensing Gillespie daily amounts of tincture. She receives just one dose in the morning, however, if her agitation seems to increase, a smaller does is also administered in the afternoon. After nearly a year on the cannabis tincture, Leffler says she can see visible changes in Gillespie about thirty minutes after dispensing the medication. While many believe cannabis will dull the senses and induce a deep relaxation, Leffler says her wife becomes more aware and alert. On cannabis, she’s very, very different. Cannabis has restored a small bit of awareness and responsiveness to her. She is much less anxious, much less fearful. She’s much more ‘there’ – she’ll laugh, she’ll smile, sometimes she’ll say a word or two that can be understood. After her three years of battling Alzheimer’s, Gillespie is able to have a bit of comfort from the medical cannabis tincture she receives daily and doesn’t have to suffer more from the side effects of traditional medications. While Gillespie is no longer able to express her emotions and feelings, Leffler knows how Gillespie would feel about using medical cannabis. If she were cognizant, she would be very proud to share her story.